When booking with a pet additional 30 euros to the final cleaning price. 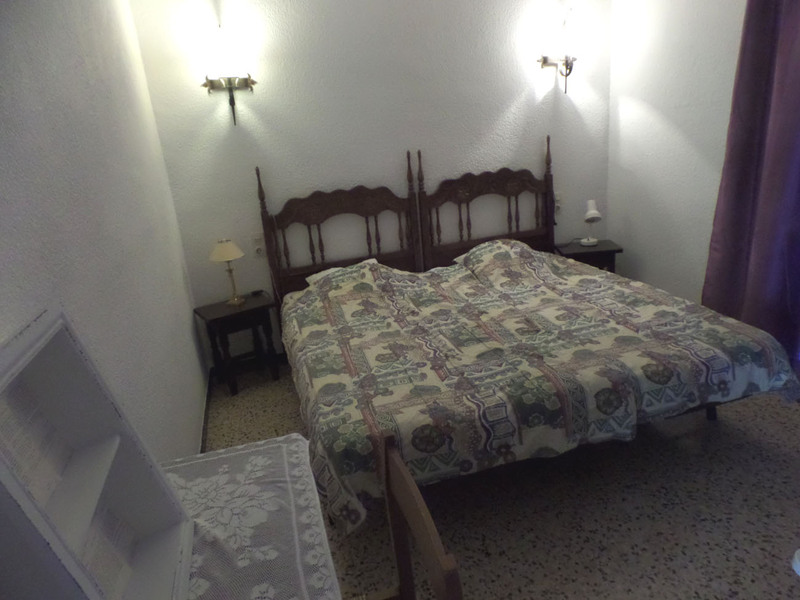 Or with us for 12 euros per bed and change. For your entire stay but max. 7,00 Euro per person. We ask for your understanding that we can not accept credit cards. HUTG-020369-63 'Certified residential quality', Generalitat de Catalunya Agencia de Turisme. 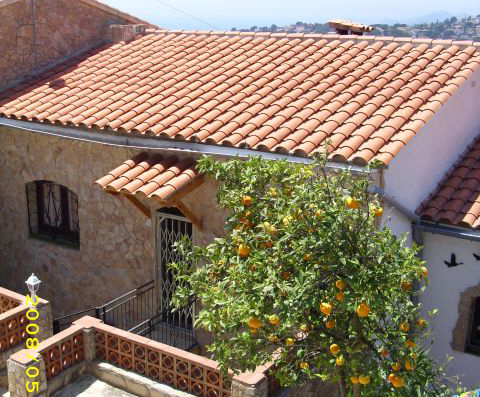 The holiday house "Casa Alguer 22" is located between Tossa de Mar and Lloret de Mar in the quiet Urbanización Canyelles, 130 m above sea level. 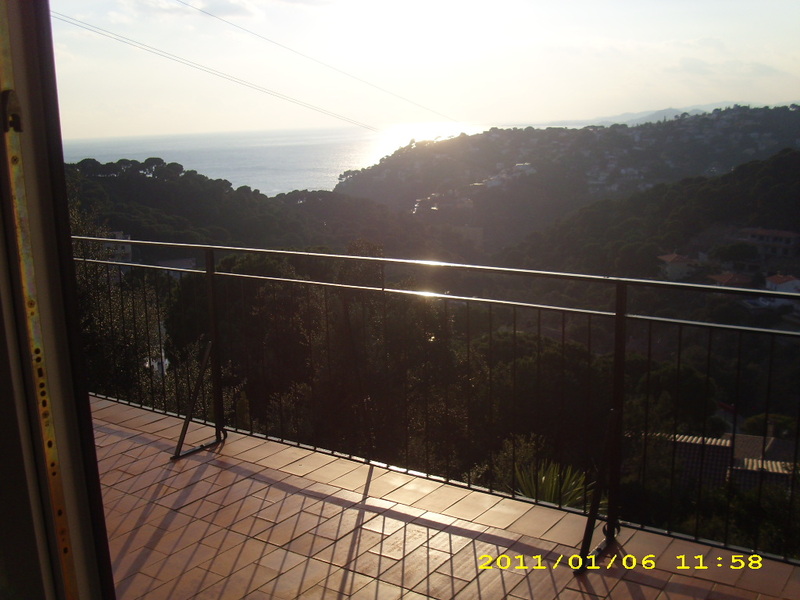 From the balcony terraces you have a wonderful panoramic view over the bay and the Mediterranean. The 2 beaches are about 800 meters away and can be easily reached by car or on foot. The apartment is about 80 square meters. 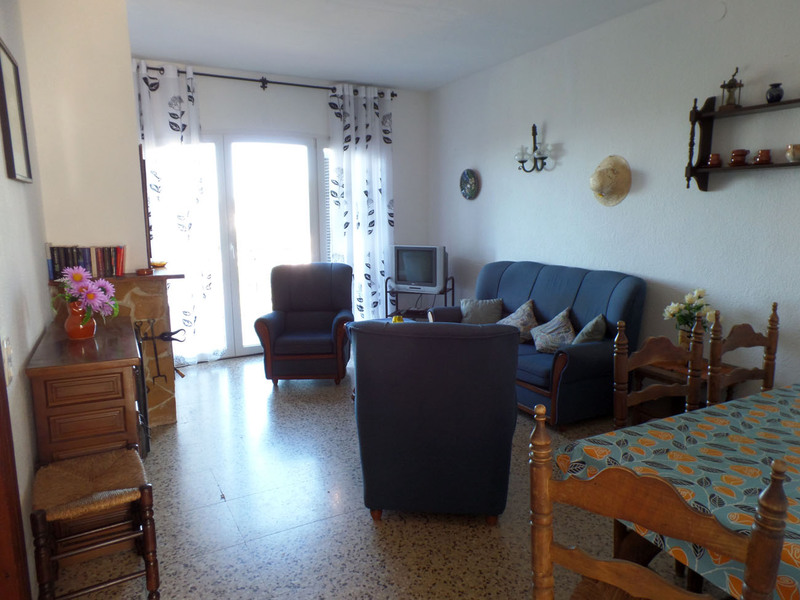 The apartment is comfortably furnished in Spanish style and has 2 bedrooms and a bathroom. It is for max. 5 people. The large half-covered balcony terrace is located in front of the living room and is equipped with the necessary exterior furniture. 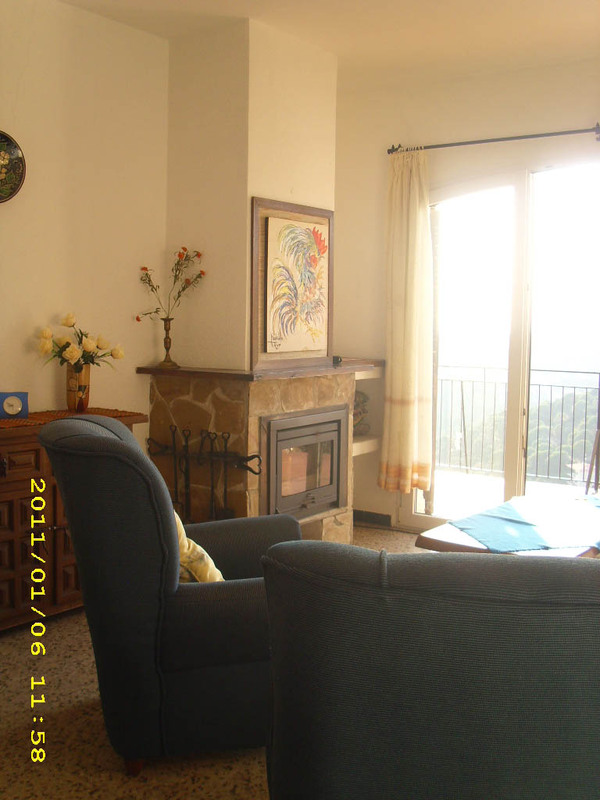 From there you have a fantastic view over the valley, sea and the coast towards the south. 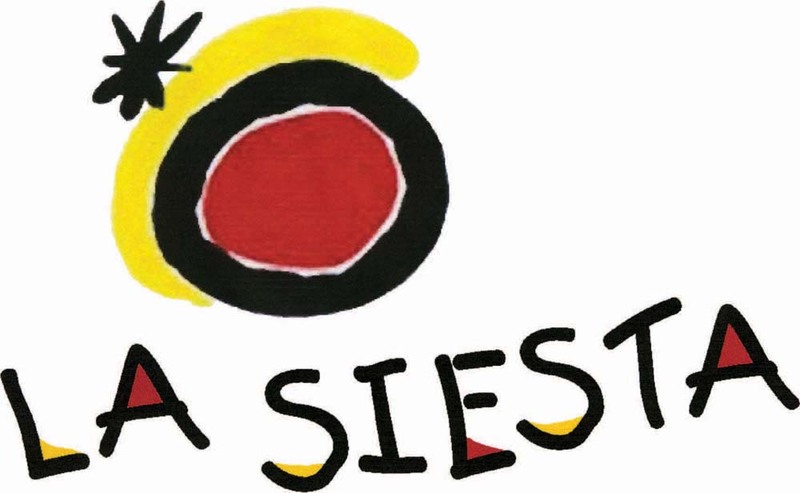 The large La Siesta communal pool is just steps away. Surrounded by a terrace with sun loungers, it invites you to sunbathe and refresh. 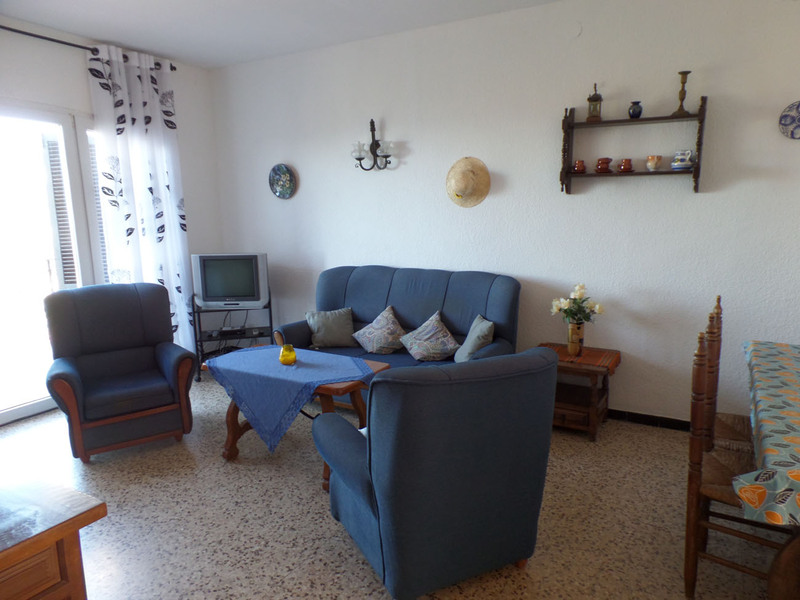 The living room is cosily furnished in the Spanish style and has a dining area with an opening to the kitchen. In the cooler season you can use the fireplace. A SAT-TV with German TV is also available. 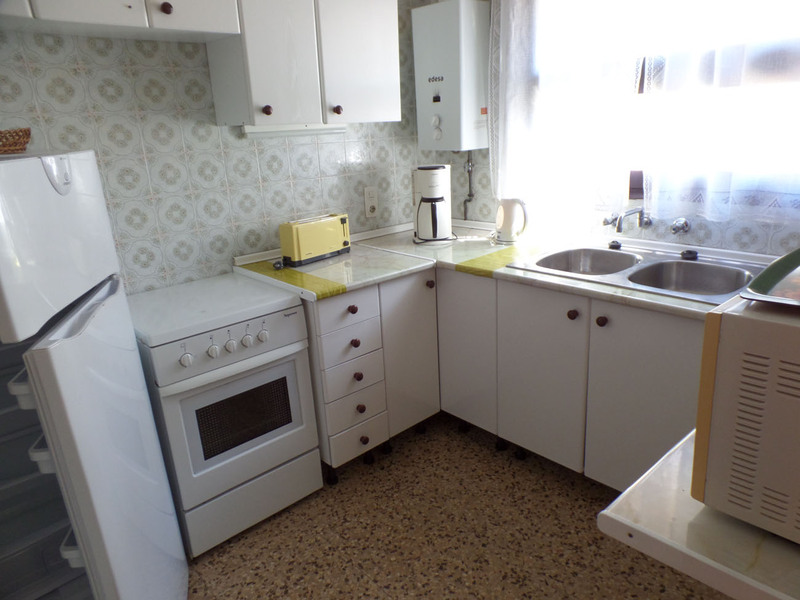 The kitchen is equipped with everything you need for cooking, eating and drinking, among others. 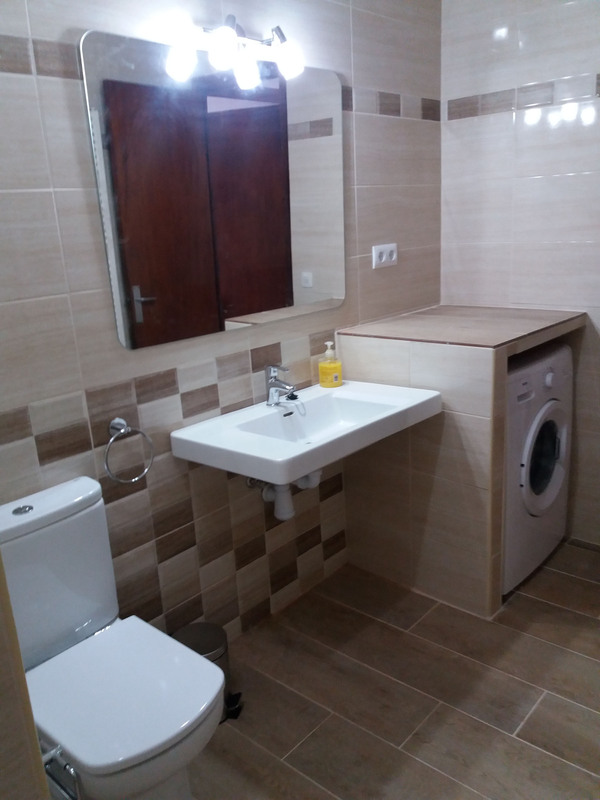 With refrigerator, cooker, electr. Water cooker, coffee maker, toaster, microwave. 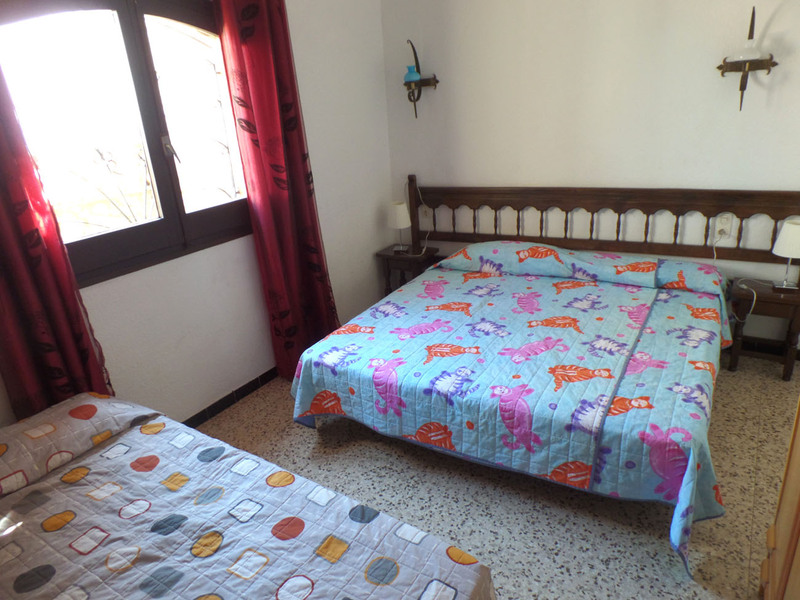 The two bedrooms are each equipped with 2 beds. In addition there is one extra bed. 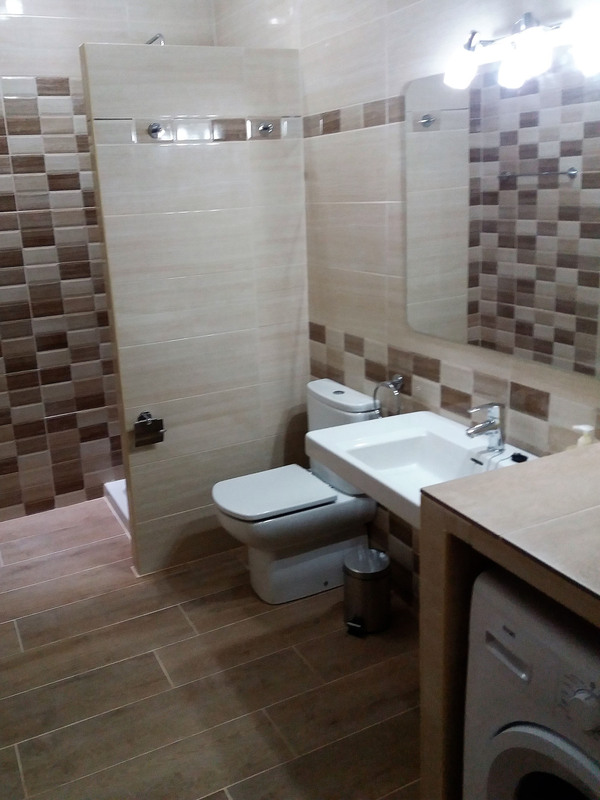 Between the bedrooms is a bathroom with toilet.